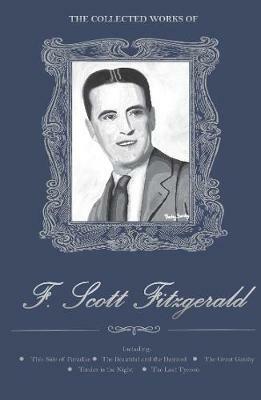 Few American novelists of the twentieth century have stayed as modern as F. Scott Fitzgerald. He gave a name to his age, 'the Jazz Age', but his reputation has outlived it. Gathered here are the five novels he wrote in his relatively short career, together with a number of the many short stories he wrote between 1922 and his death in 1940. This Side of Paradise catapulted him to fame, its expose of the manners and morals of a post-war generation becoming a cause celebre. The Beautiful and Damned, a semi autobiographical moral parable of a doomed marriage, affirmed Fitzgerald's status as the spokesman for the generation of the 1920s. His third novel, The Great Gatsby, remains for many readers the definitive American novel of the twentieth century, its eponymous hero a complex fictional portrayal of a romantic imagination at the mercy of a corrupt reality. Tender is the Night is an American Vanity Fair set on the French Riviera in the 1920s. Fitzgerald was working on The Last Tycoon at his death in 1940, and many critics rank his account of Hollywood at the height of the studio system, even in its unfinished state, as comparable to the achievement of The Great Gatsby.